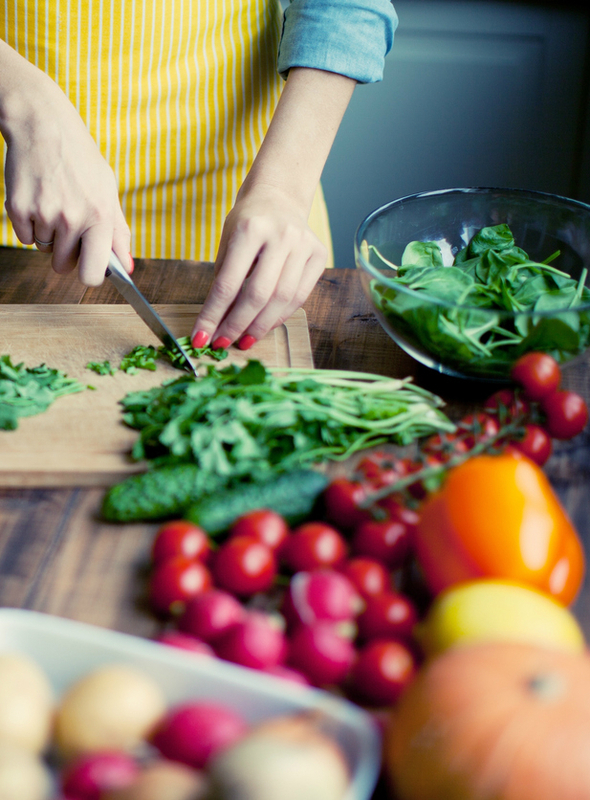 Are you a chef or nutritionist eager to learn about the power of a plant based diet? Do you want to create healing cuisine that truly nourishes your clients? Perhaps you want to uplevel your kitchen skills to improve your personal health. Or maybe you want to nourish your family and friends with natures finest. Regardless of where you are right now in your evolution, holistic nutrition and chef skills are invaluable for healthy vibrant living. Plant based cuisine is trending now, more than every before, because people are feeling the major shifts that occur when we treat our food as medicine. 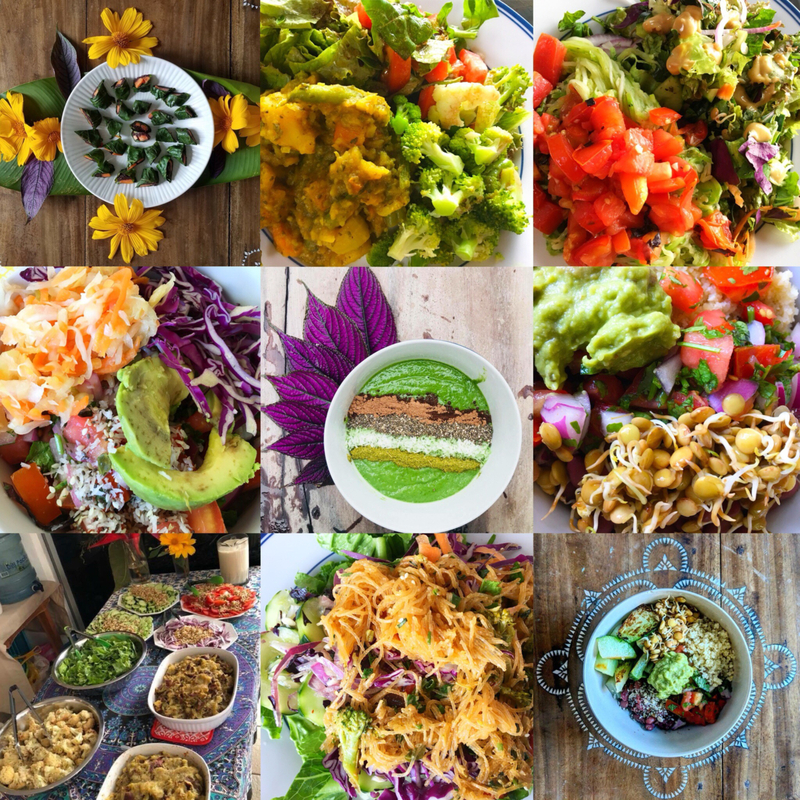 Vegan and raw vegan restaurants, workshops, catering, and retreats are coveted and sought after by celebrities, moms, athletes, and entrepreneurs alike. Everyone is waking up to the power of a plant based lifestyle. We’ve designed a 30 day all inclusive immersion program that teaches you the skills and techniques required to create healing high vibrational cuisine. This training also sets you up with a strong business foundation to turn your passion into a thriving company. Whether you want to produce retreats, cater events, or create online programs, this certification program offers all you need to make it happen. You’ll walk away with a beautiful modern website, plus marketing and sales methods to accelerate your growth. Our greatest intention is to empower you with the skills necessary to run your own company, maintain ultimate health, and make big impact on those you serve. Over the last 30 years she has become a wealth of knowledge in this area and focuses on the importance of culturing and sprouting along with food combining to support you to be your most vibrant self. As a vibrant living soul, she is passionate about teaching and sharing this knowledge with others so they too might live as their most highest self. Johanna is our head chef and holistic nutritionist. She adores nothing more than sharing the healing power of movement. She is a self taught web developer, former professional blogger, and social media maven who is passionate about empowering entrepreneurs to build their dream businesses online. 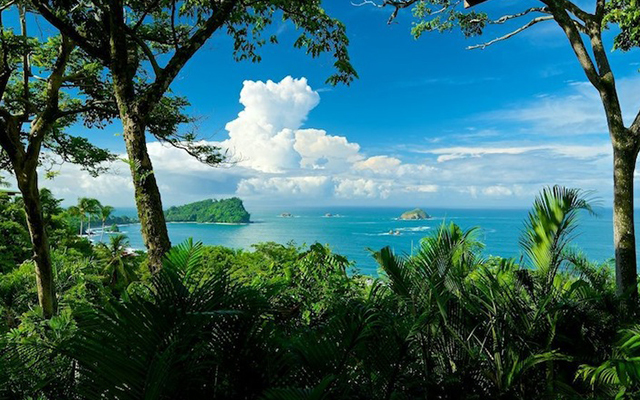 She produces all inclusive week long retreats and teacher training programs in her home base of Manuel Antonio. Amber teaches the Pilates Mat and Myofascial Release Workshops, the SUP Yoga/Pilates Intensive, as well as website build & design. 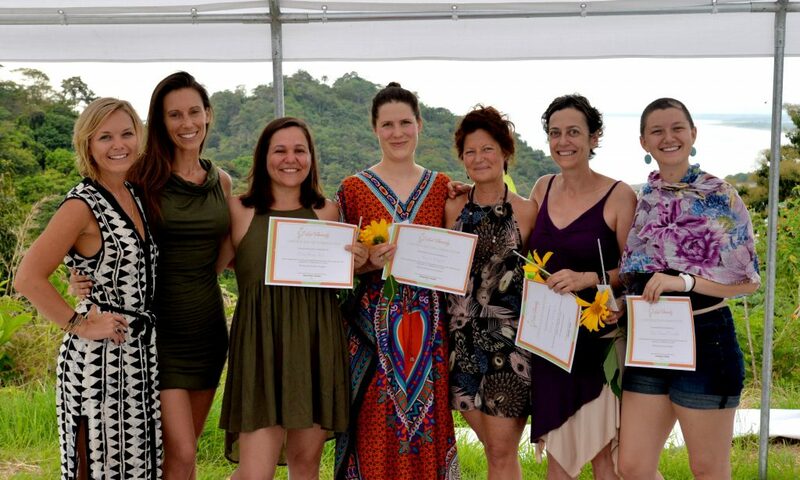 “When I first heard about the EpicSelf Restorative EcoChef Certification program, I knew I had to apply. After years of experimenting with a plant-based diet I hadn’t found a way of nourishing myself that would balance my hormones, help me lose weight, increase my energy levels, manage chronic anemia while improving my digestive health and healing a negative relationship with food. 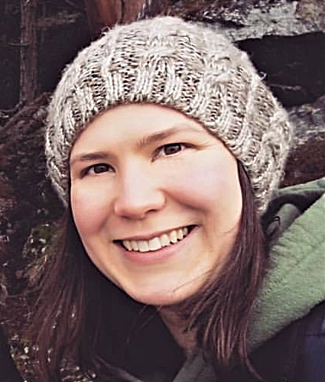 With Johanna’s extensive knowledge, and patient teaching style, I learned a way of preparing food from a nutritionists perspective while working in a live retreat setting. The setting in which this training took place taught me so much more than I could have imagined. Not only did I learn how to complete grocery orders, activate food so it delivers the most nutrition, and how to build and plan meals by applying Johanna’s 5+5 method that ensures all nutrient needs are met, but I was also given the tools to create a business that employed these skills and my personal passions. From Amber I learned not only how to develop a website, but also how to manage my business and the marketing skills needed to be successful online. Immersed in an environment of inspiring individuals, I experienced how to care for myself, manage my time, and utilize my energy to experience daily success and build the confidence to achieve anything I desired. “I was that person who had given up on weight loss or my body changing. I had gone through a traumatic time of weight gain in 3 months and then tried three years to get it off, but no luck. Then I turned to the new notion of food psychiatry using food to manage emotions. I had depression, destructive patterns and horrible body image. I had been following Amber’s motivational lifestyle and business expertise on social media and when I saw she had a new Eco Restorative Chef Program I jumped on it. I wanted to heal my gut in the hopes of improving my overall health and boosting my self esteem. When I arrived I was greeted by the most incredible team of staff and amazing women to embark on a 30 day journey with. This training wasn’t just about food it was about lifestyle, emotional management, self-care, physical care and igniting my personal dream and passion for living. One week into the training my anxiety and depression had decreased by 90% and I was no longer pulling my hair out of angst. I was astonished that I had a craving for vegetables! My teacher Johanna was most definitely my rock and inspiration throughout the course. 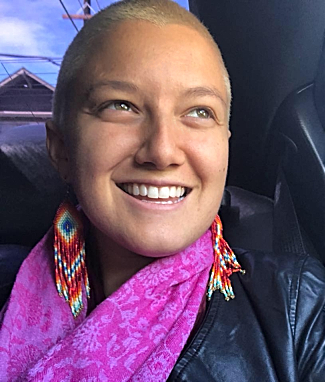 I learned she had cured herself of candida and other major health issues using food AND helped her friends, family, and clients heal their M.S and other autoimmune disorders. It finally hit home that food was the foundation to health and wellness. My journey to healing myself through food, and healthy habits, was much bigger than me and my small issues. The knowledge I gained and practice is my new superpower that I plan to use to help all those I love and know are suffering. My transformation through this program truly gave me my life back; as a businesswoman, a daughter, a lover of myself and others, and a giver to my community. I had a doctor appointment when I got home from the Restorative Eco Chef Program, and I yelled at the nurse (by accident) and made her check my weight again, and then 3 times, because I had lost 16 pounds. And she said is something wrong, I said no, I just haven’t seen that number in a while! I don’t weigh myself, or have a scale, but that happy accident showed me the program had done more than just help me start the business of my dreams, love myself again, and develop lifelong connections, but it gave me my body back. 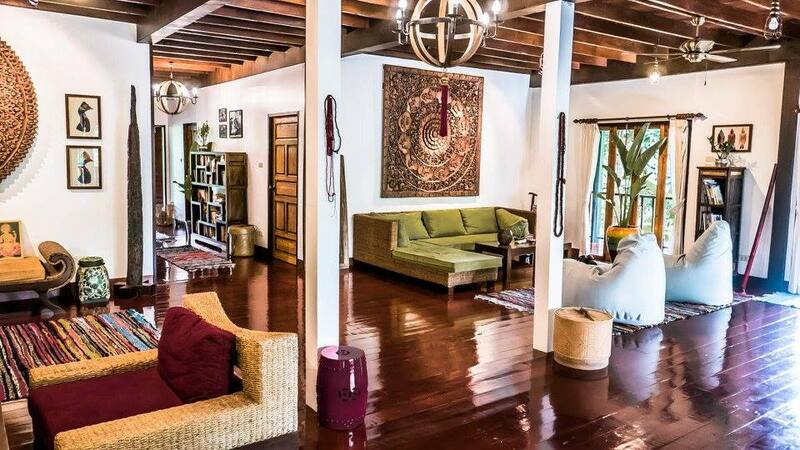 The Yoga House is a massive mansion with 6 bedrooms, large yoga shala, manicured gardens, modern kitchen, fast wifi, lots of hang out space, and a private pool. All within mins to shops, restaurants, waterfalls, and beaches in town. 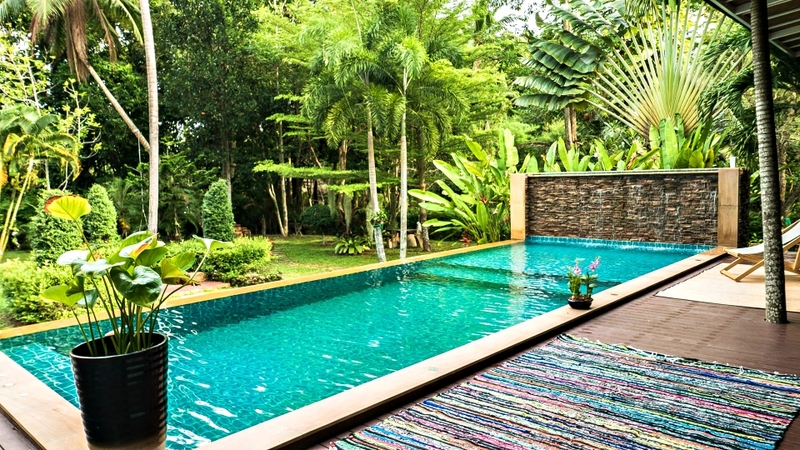 The serene and modern Thai/Balinese interior design is the perfect environment for personal and professional transformation. 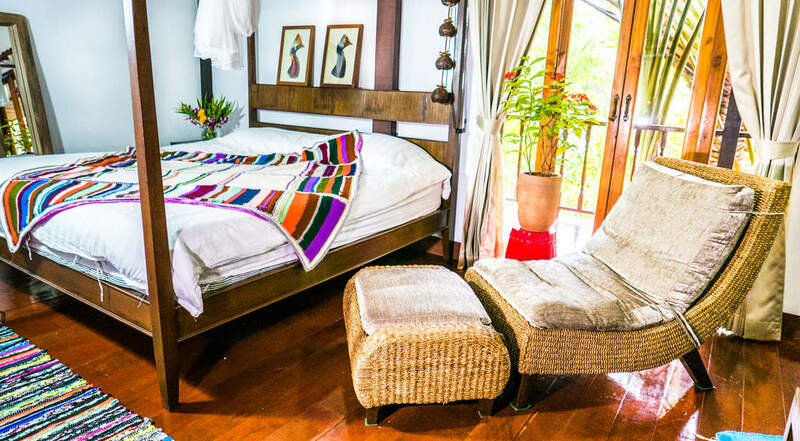 Shared twin bed dorms and queen bed private rooms are available. First come first serve. Maid service is included and laundry facilities are on site. 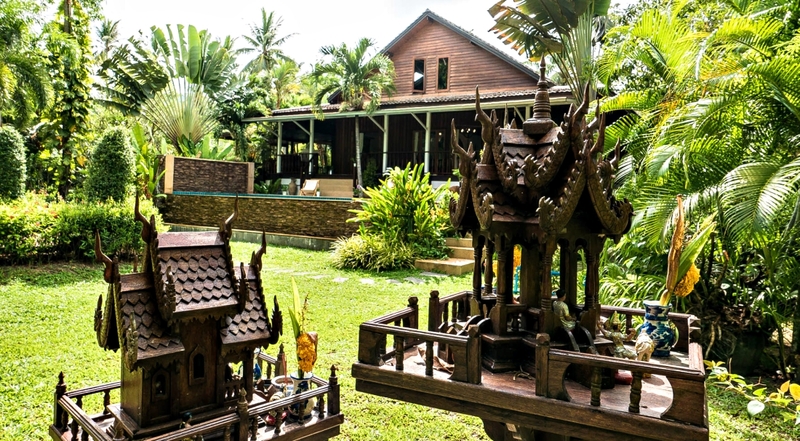 Koh Phangan is a world renowned lush tropical island in the gulf of Thailand thats abundant in retreat centers and ripe for adventure. The notorious Full Moon Party happens everything month on the island as well. The beaches and sunsets are spectacular to say the least. Skills & techniques are taught hands on in the kitchen with lectures in between. Each student get’s two half days off per week from kitchen duty, but is still required to attend lectures. You will be on your feet 5+ hours per day. Standard Payment Plan: $2,000 deposit, followed by 6 payments of $750. Special Payment Plan: $4,000 deposit, followed by 4 payments of $375. Receive $1,000 off for a total tuition of $5,500. A non refundable $2000 deposit is required to book your space. Ready to upgrade your health & launch your business? Arrivals and Departures: Once you register you’ll need to book your flight to land no later then 12pm noon at the Koh Samui airport on the November 5th. Once we have your flight times the epic team will help you arrange the ferry to Koh Phangan and book your shuttle pick up from the Koh Phangan port. Ground transport to and from the port in Koh Phangan. Check-In at The Yoga House is 11am on November 6th. Check-Out is December 7th at 11am. If you’d like to purchase additional nights before and/or after your retreat please inquire with an epic team member via email. Cancellation Policy: We offer a payment plan with four non-refundable installments and opportunity to receive financing for up to six months with no interest. A non-refundable $2,000 deposit is due to hold your space. All payments are non refundable and only transferrable once in the case of a personal or family emergency. Students are not allowed to switch trainings based on any reason other than personal or family emergency. We reserve the right to ask you to leave if you break our training house rules repeatedly and/or disrespect your fellow students and teachers. You will be give 2 strikes before you are asked to leave. No refund will be given. Not Included in Package Price: Your flight. Transport costs while staying in Koh Phangan. The EpicSelf staff will assist you with all logistics and planning once you register. Don’t hesitate to reach out with any questions. We are happy to assist.